If you're reading this blog, chances are you've enjoyed some college football at some point during this 2013 season, either in person, at an FCS school like Lehigh, or maybe on TV, watching someone like QB Johnny Manziel play in front of 100,000 stadium fans. If you're like most casual fans, though, you don't think about the number of days it takes for these players to get to gameday and to compete: hot practices in the summer heat, countless hours in the weight room, the training regimen it requires. This last week, student-athletes at a very small Division I university in Louisiana had looked around at the environment surrounding themselves in regards to their program and facilities and said: enough. Grambling's situation this season, which led to the strike that caused them to forfeit Jackson State's homecoming game last weekend, is a complicated one. It's hard to summarize neatly in 500 words or less. That's because Grambling's problems don't begina and end in the locker room. In case you're coming to this late, last week the football players at Grambling went on strike, walking out of a meeting with Grambling president Dr. Frank Pogue, and then boycotting two practices and then refusing to board a bus to Jackson, Mississippi, where the Tigers were Jackson State's homecoming opponent. During the protest, which included two days of practice boycotts and the removal of interim coach George Ragsdale, Grambling players complained of substandard facilities, unhealthy conditions and long bus rides. But the catalyst, according to several players, was a feeling they had been neglected and disrespected after the school fired Doug Williams last month. Several players told USA TODAY Sports they were given little notice of the meeting. Still in their practice gear, they listened to Pogue's message — which the president said was essentially intended to "make sure the men understood despite losing (games) … they should understand the university supported them." It didn't go over well. Several players said Pogue "talked in circles." They said they were unhappy Pogue had fired Williams more than a month earlier, and yet this was the first time he'd chosen to meet with them. The players' boycott was driven by a sense of disrespect from the administration, as well as the shocking revelations of mold and mildew in the locker rooms, lack of access to cold water and common weight-training supplements like Muscle Milk. Williams was canned in very unusual circumstances. Williams had reportedly clashed with Pogue frequently in his second tenure as Grambling head coach, and was terminated on a Wednesday after the Tigers lost to nearby Louisiana-Monroe 48-10, with the president saying only, cryptically, that the school "wanted to go in a different direction. This was a mere 24 hours before the Tigers were to take a nine hour bus ride to St. Louis, Missouri, to take on D-II Lincoln in the Gateway Classic, with an interim coach, George Ragsdale, that seemed like he was as surprised as anyone he was now the head coach. "It was very much a surprise that the coach was let go," he himself said, not looking at all on the day of the announcement like a man who was excited that he was going to be a head coach again. "I didn't have a clue. I was also surprised that they asked me to be the interim coach, because we have a couple of other guys that are closer to Grambling than myself." He seemed to know how challenging his situation was, even the day of the announcement. "Kids come to colleges because there are people that recruit them," he said. "I'm willing to say 95% of them came to Grambling because of Doug Williams." That unusual firing, and the fact that Pogue and the administration waited an entire month to talk to the kids around the circumstances of the termination, seemed to be the real catalyst for the strike. More than, perhaps, at other institutions, these kids, recruited by Williams and even including Williams' son, QB D.J. Williams, weren't playing to show off in front of 100,000 fans or even to play in the NFL - they were suiting up to have a chance to play under a man who was a Super Bowl MVP, and a football legend. 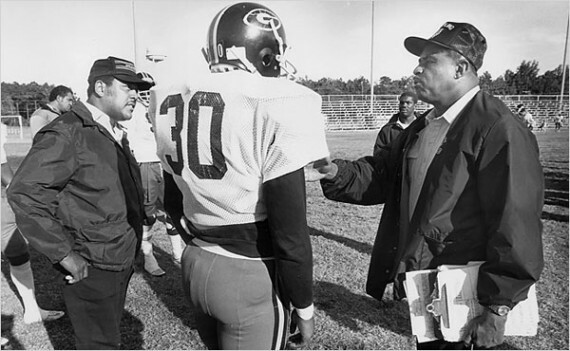 When Ragsdale was canned a couple of weeks later after being appointed interim head coach after the situation continued to get worse, it seemed inevitable, after allegations of missing floor tiles in the weight room, mold in the locker rooms and uniforms, and the player mutiny that caused Grambling to forfeit their game against Jackson State. Though the alleged conditions seem deplorable, it didn't seem to be about that - it seemed to be about removing the only reason why these kids came to Grambling in the first place, to compete with the former Washington Redskin - to just be around him. To me, it seemed like the players will willing to put up with the mold, the old weight-training equipment, and the nine-hour bus rides if they could just get a glimpse of working every day with Doug Williams. So why did Pogue fire Williams? The root of the reason might come from an event from a year and a half ago, where Williams had to fight his own administration to get compensation. Doug Williams is suing Grambling State University for what he calls a “renege on contractual promises” and an attempt from the school and the University of Louisiana Board to force a “take it or leave it” situation. Williams alleges that a contract he negotiated with Grambling State President Frank Pogue contained language on salary, performance bonuses and guarantees that, when brought before the system board for vote, were all reduced or removed from amended versions of his deal. It won’t be the first time Williams and Grambling have not been on even terms with money, but it should be the last. While family ties and a slim number of inquiring NFL front offices seeking his services may hold him back, Coach Doug’s next move out the door would be his best move. Doug Williams has been Grambling’s greatest alumnus, advocate and asset for more than 30 years. He’s won titles as a student athlete and coach. He’s raised money for the university as a booster and public disciple of the black and gold. In his disagreements with the university, he’s never distanced himself from publicly championing the school’s mission and value. There is no more readily associated, willingly affiliated HBCU celebrity in the country than Williams. But he can’t convince Grambling and the U of L System to pay him the money everyone outside of the state seems to know he’s worth. Dr. Pogue, one of the smartest men in HBCU culture today, knows Doug can’t be persuaded to take a hometown discount, particularly when DW is partly responsible for the town’s very viability. He knows that Williams is a revenue stream unto himself, with corporate sponsorships and alumni giving in support of athletics delicately hitched to his ability to bring football championships home to the Tigers. Was it simply due to the fact that Grambling couldn't afford to keep Williams around? There's a compelling case to be made that this is the case. If you didn't know anything about Grambling, or about the state of many Historically Black Colleges and Universities (or HBCU's for short), you might think this was a case of spoiled athletes throwing a temper tantrum about the departure of a beloved coach. As you'll see, though, this was anything but. Grambling is best known for being the home of legendary head coach Eddie Robinson, who essentially invented the idea of the football program being a nationwide showcase for HBCU's and what they offer, including offering a challenge to the Jim Crow South who were suiting up all-white teams. But it has been a terrible couple of years for HBCUs in general, and Grambling in particular. Strangely enough, in order to get a complete picture of why it's been such a terrible stretch, it's important to go back to to 2011, and study a move by the Secretary of Education Arne Duncan. That's when Mr. Duncan decided to change the criteria of a relatively unknown student loan program, the Parent PLUS loan program, to tighten its standards for lending money to aspiring families who otherwise wouldn't be able to afford college. It was the worst possible type of move from a government branch: done quietly, without fanfare, but with giant impact on people who were counting on that money to pay the bills at college. Until 2011, applicants were approved for a PLUS loan as long as they were not more than 90 days delinquent on any debt, and did not have any foreclosures, bankruptcies, tax liens, wage garnishments, or student-loan defaults in the past five years. Under the new standards, unpaid debts in collection and student loans written off as unpayable in the previous five years also count against applicants. Leaders of historically black colleges and in the African-American community are lobbying the Education Department to change the standards back, arguing that there was no evidence of high default rates on parents' PLUS loans. For now, Morgan State, like other historically black colleges, is trying to keep students enrolled. In August, university officials held an emergency fund-raising drive called "reinstatement day", aiming to bring in $300,000 for 300 students whose parents had been denied PLUS loans and needed funds for this fall. "It was a stretch goal for us, because we were trying to raise this money in a short period of time," says David Wilson, Morgan State's president. The students who had come up short this semester included many juniors and seniors who were denied aid they'd received in the past, says Alvin Hill, president of the university's student government. He should know. A senior planning to graduate next May, he was here on reinstatement day to pay his balance. This year alone, an amazing 60,000 parents of students attending HBCUs were denied, or a whopping 70% of the applicants applying for the loan. It's made for some true heartbreak. For some students, the unexpected denial of a PLUS loan has been devastating. Thomas Hundley Jr., 22, from Cherry Hill, N.J., was on track to graduate from Howard University next May. His mother, a health-services administrator, had borrowed $30,000 in PLUS loans before the policy change, Mr. Hundley says. In the spring of 2012, Ms. Hundley, a widow with five children, was denied a PLUS loan for the first time. She appealed but was unsuccessful. Unable to find another way to pay the balance he owed Howard, Mr. Hundley, a political-science major with a 3.5 grade-point average, had to withdraw. "I see everyone else who is graduating," he says. "I'm not able to be a part of that." The stories of the effects of this policy are wrenching, to be sure, but it's also led to an immediate crisis of funding at HBCUs as well. When enrollment drops, the amount of money to run a university drops. And taking Morgan State's example, their enrollment dipped from just about 8,000 students to 7,192 in one year - a 10% drop that doesn't even take into account existing students with outstanding tuition bills. For students at tiny St. Paul's College of Lawrenceville, Virginia, it was enough for that HBCU to close its doors for good. Saint Paul’s College was founded in 1888 by my grandfather’s uncle, James Solomon Russell. A former slave who died an archdeacon and university principal-emeritus, Russell understood the transformative power of education. He opened Saint Paul’s Normal and Industrial School with fewer than a dozen students and a mandate to train teachers. Over the next 125 years, the school became a hub for education training in the region, producing many teachers in Virginia and neighboring states. Many of the students who attended Saint Paul’s over the years were the first in their family to attend college. The vast majority came from poor families. The school even offered a child-care program for single parents enrolled in classes. Like so many other HBCU’s in underserved communities, Saint Paul’s was a lifeline. The recent recession hit Saint Paul’s especially hard. Like many HBCU’s, the college lacked a wealthy donor base or strong endowment that could help it weather the financial storm. Faced with mounting bills, college officials closed the child-care program, laid off top teachers, and watched enrollment numbers fall back to near-1888 levels. Last fall, St. Paul’s opened its final academic year with just over 100 students before shuttering its doors for good. Saint Paul’s demise should serve as a wake-up call to those who care about the future of HBCU’s. For more than 175 years, the institutions have played a crucial role in African-American advancement. HBCU’s make up just 3 percent of the nation’s colleges and universities, but produce 50 percent of black public-school teachers, 80 percent of black judges and 40 percent of baccalaureate degrees awarded to black students in science, technology, engineering, and mathematics, the STEM fields. Martin Luther King Jr. was a Morehouse man; Thurgood Marshall studied at Lincoln University and Howard University School of Law; Oprah Winfrey attended Tennessee State University. However, even the wealthier HBCU’s are struggling financially. Morehouse College was recently forced to furlough some of its staff, and Clark Atlanta and Hampton Universities have both announced budget shortages. This June, a Howard University trustee, Renee Higginbotham-Brooks, wrote an alarming letter about Howard’s “genuine” financial trouble. At the "wealthier" HBCU's that are still around, too, the financial pressures from dips in enrollment are enormous. Doing a back-of-the-napkin calculation, let's say Grambling's average tuition/student fees are $9,500, and last year's enrollment (5,207) fell by 700 students, thanks to the new standards of the loan program. That dip in enrollment translates into $7 million less income this year to operate the college - and the dip in enrollment may be a lot larger than I'm estimating. And that's not counting boarding costs, books, and other sources of revenue to keep the institution running. In normal times, this might only be an issue, not a crisis. But coupled with the realities from state government bodies, however, it certainly does become a crisis. Ask school officials why the football team [at Grambling] and other programs are struggling and they quickly shift attention from personality conflicts and staffing decisions to the budget. Since 2007-08, overall state funding for Grambling has gone from $31.6 million to $13.8 million. The school has attempted to bridge that gap by increasing tuition, but it has fallen short, and cuts have been made across the board. Approximately 127 staff members have been laid off since 2008 and furloughs are common. Professors have also been asked to teach an extra class each year for free. Generally, the school has "cut to the bone," says Leon Sanders, Grambling's vice president for finance. Athletics were mostly exempt from the cuts in the first few years of the recession, even as revenue generated by the department declined from around $8 million in 2007-08 to about $6.2 million last year. But that was unsustainable, school officials say. Like the rest of the university, the athletic department had to make sacrifices, and the sports programs are now feeling the pinch that the rest of the school has endured for years. Some accounting tricks have spared the athletic department even greater pain, at least for now. In past years, the school has moved about $3.4 million out of its operating revenue to help pay for athletics. This year, the school had only $1.8 million to transfer. The difference was made up, in part, by moving $1.2 million in auxiliary funds over to athletics, but that cannot be repeated next year, Sanders says. Unless new monies are found, athletics could see its budget shaved by more than a $1 million or more for the 2014-15 school year. "We are functioning now in a financial emergency," Pogue says. Grambling's educational mission is to accept a huge number of students who are attending college for the first time, and also to take on students who might not have the financial means to travel far to go to school, or pay huge fees somewhere else. So at a school with diminishing federal or state government support, where does a school turn to funds? Increasing tuition or athletics fees on its student body? Many universities do just that, including HBCUs,, but that will only take the athletics department so far with a student body that is already going into alarming debt in order to have the honor of having a college education. There's something else, too, that bears another look. Most of Grambling's athletic department funding comes from their lucrative "Classic" games against other HBCU's, lucrative bowl-type games that are frequently three-day vacation junkets for fans, including concerts, parades and lots more. In 2007, the athletics revenue was $8 million. In 2012, it was $6.2 million. Like countless FCS schools, one important revenue stream Grambling has used to fund the athletic department is guarantee games against FBS schools. Grambling travelled to Pittsburgh to play the Panthers in 2007, and undoubtedly it involved a hefty six-figure check. But most of the revenue still comes from "Classic" games in a variety of venues, from the iconic Bayou Classic in the Mercedes Benz Superdome in New Orleans, Louisiana, to, say, the Circle City Classic in Indianapolis, Indiana. The trouble is that, over the course of the last five years, attendance at Classics has dropped considerably. Increased educational opportunities at predominantly white institutions (PWIs, as they're known on many HBCU campuses), the never-ending search for resources and dips in attendance at the major Classics have thrust the HBCU community into a period of transition and brought the long-term viability of these games into question. Attendance at the most recent Classic games has dropped. The prestigious Indianapolis Circle City Classic attracted a record-low of 18,000 fans. The 71st edition of the Magic City Classic drew 58,201 fans, down from 2011's 66,473. The Bayou Classic, which began in 1974 at Tulane Stadium in front of 80,000 fans and featured Grambling quarterback and future Super Bowl MVP Doug Williams, hit an all-time low of 40,175 in 2011. The crowd of 42,257 spectators at the Southern Heritage Classic was the lowest turnout since 2001. The Atlanta Football Classic saw attendance drop to fewer than 41,042, and the attendance of 32,317 fans at the Florida Classic was the lowest since 1996. Calvin Hewitt, a Hampton grad and HBCU sports historian, says the decline of HBCU Classics is directly related to a drain in athletic talent. "In the late '60s and '70s, colleges like Grambling and Southern had top-five talent nationally," Hewitt says. "Once the LSUs started recruiting athletes in areas that traditionally produced elite HBCU talent, it started showing on the field. By the late '80s, most HBCUs looked like real good high school teams with shaky uniforms and facilities." As attendance goes down, so do the revenues for playing the game. A revenue stream of $8 milllion per year shrinks more than 20%, and the athletic department needs to find alternative funding just to keep things going the way they were. Taken all together, it's no wonder how Grambling as an institution is in such financial dire straits. It had even gotten so bad that Grambling's former athletic director, Percy Caldwell, resigned in July. The state of the athletics department here is in a state of uncertainty and concern. Grambling State University is located in a state where state appropriated dollars can be used to support athletics. However, state budget cuts have hit our athletics department very hard at the tone of over $2.1 million dollars in 2 years. There has never been a student athletics fee at the university and the reserve funds that were used to support athletics are no longer available. I am not sure where the missing funds will come from. It is tough coming in as a new AD behind some drastic budget decisions that had been made prior to my arrival, causing most of the teams to perform poorly. The AD is expected to fix things right away with less funding support than they had in earlier years. The reason most of our teams are struggling has less to do with the coaching staffs and more to do with the lack of investments in the program. The athletics program has lost over 2 million dollars in state support in the last three years. There is no student athlete fee like other institutions. Alumni giving is very low. The results are less recruiting dollars, poor facilities to attract quality recruits and fewer scholarships to provide to recruits when we find good players. All of these issues can be solved if more commitments are made to invest in the programs. We can't expect the coaches to be successful until the institution provides successful support. Very recently, Dr. Pogue went a step further in his definition of Grambling's dire financial situation in a discussion with radio host Roland Martin. ROLAND MARTIN: … lay the blame at the feet of Governor Bobby Jindal because of the massive education cuts to state education. Is he largely to blame for what is going on, the financial condition of Grambling State University? DR. FRANK POGUE: Well, let me just say all universities in Louisiana are suffering as a result of massive budget cuts. Grambling, of course, being an HBCU, suffers even more because Grambling, as an HCBU, has never been equally funded with other institutions in the first place. So when you cut Grambling $5 or $10 million dollars it hurts. Now we need money, yeah. For those who care about Grambling State University please write a check. Send it to our Grambling University Foundation. "Financial exigency" is no joking matter. Declaring financial exigency basically acknowledges that a college cannot meet its contractual obligations and allows it to take unusual cost-saving steps, like firing tenured faculty members. Such declarations are uncommon, although the public higher-education system in Nevada warned last month that it was strongly considering such a move. But for colleges in urgent need, declaring financial exigency could be a positive step financially, the report says, because it "empowers management to take aggressive cost-cutting steps to preserve cash flow." Was one of the contractual obligations that couldn't be met Doug Williams' contract - essentially, a superstar coach at an institution in deep financial trouble? Grambling State sits at the difficult intersection between the shrinking of government (especially at the state level), the federal government deciding to get out of the educational loan business, and their mission, to educate students that can't shoulder even more financial burden than they're already being asked to shoulder. At the same time, the amount of money flowing into the athletics program from Classics has been shrinking, and enrollments, at least in part thanks to the policies of the Department of Education, have dropped precipitously, further squeezing revenue as a whole. It's not a problem unique to Grambling, but it's certainly been hitting Grambling incredibly hard. This type of environment for HBCU's needs to be pointed out for what it is: a crisis that will require help from somewhere to solve, whether a revolution in the banking system, increased aid from government, or something else. In that sense, the players' strike has done some good to shed some light on issues that have been out of the national eye for too long. 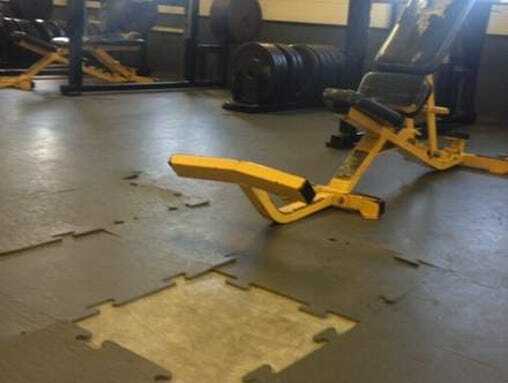 But it seems like the solution isn't as simple as rehiring Doug Williams, or getting some new flooring for Grambling's weight room.